On a cool December morning off the coast of San Francisco, a local fisherman radioed a distress call to shore. He had discovered a humpback whale tangled in hundreds of yards of crab-trap lines, struggling to stay at the surface to breathe. A team of volunteers answered the call, and four divers risked their lives to rescue the enormous animal. What followed was a rare and remarkable demonstration of animal behavior. 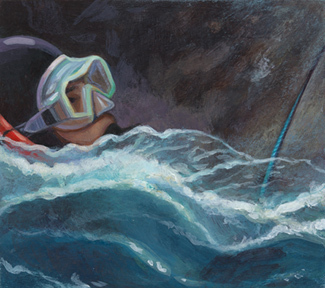 The whale swam around the divers in joyous circles, then gently nudged and looked directly at each diver. The divers say that it was one of the most fantastic moments of their lives. 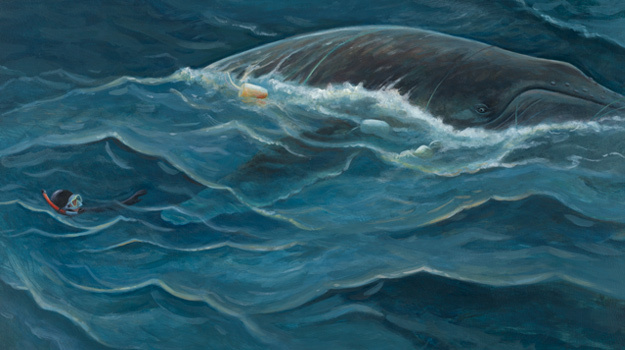 This celebrated story will make you wonder about animal emotions and the unique connections we can have with animals—even whales. For the full reviews, click here. 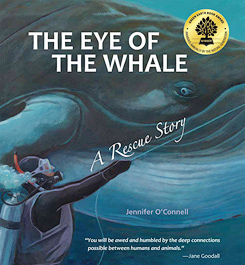 The Eye of the Whale featured on the book page. Jennifer’s interview about The Eye of the Whale.